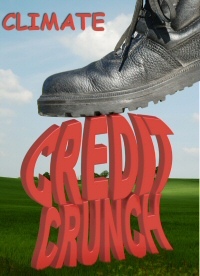 Claim: Credit Agencies are miscalculating climate risk | Watts Up With That? The Center for International Environmental Law thinks that Credit Agencies are miscalculating the risk of climate change – that climate change might be the cause of the next financial crisis. Anthropogenic climate change associated with 4°C or greater warming (a “≥4°C climate scenario”) has disastrous impacts on the environment, people, and the global economy. However, this ≥4°C climate scenario is based on a business-as-usual climate change trajectory that may not continue. There is a growing trend in international, national, business, consumer, legal, regulatory, and social efforts to mitigate climate change. For instance, 193 nations have agreed to limit global warming below 2°C (a “2°C climate scenario”). Despite the movement away from business-as-usual, credit rating methodologies are not factoring in a dynamic climate change trajectory. Instead, they appear to assume a ≥4°C climate scenario. Assuming a ≥4°C climate scenario artificially inflates the credit ratings and financial value of companies causing global warming and could expose rating agencies themselves to legal liability. In my opinion, if there is a business sector which can make just about anything else look good, its green investments. Along with well known Federal backed disasters like Solyndra, the history of alternative energy investment is littered with many lesser known green failures, such as ECOtality, Abound Solar, Fisker Automotive, the list goes on (source Breitbart ). The green sector is so unattractive, the British government had to set up their own investment bank, to lend money to people whose businesses are then supported by generous government handouts. When the government finally runs out of money, as recently happened in Spain, everything falls in a heap – only the lawyers end up getting rich. Given Europe and America’s continued insane infatuation with green policies at any cost, given the track record of failure and ruin, in my opinion pouring people’s pensions into green follies is far more likely to trigger a financial crisis, than investing in fossil fuel businesses. Even the BBC and the Guardian, despite their green rhetoric, remain heavily invested in fossil fuels. Credit Agencies, unlike politicians, can be sued if they offer poor advice, so generally they try to stick to offering good advice. Which is awfully inconvenient for greens looking for capital. A substantial amount of the world’s wealth is invested with funds which substantially base their investment decisions on the advice of credit agencies. June 26, 2015 in Climate News. The next financial crisis will be the result of fraud as it always is. Climate? Good one. Inadvertently the premiss might be correct. Western economies are built on the use large amounts of cheap energy. When that goes and we are limited to windmills to keep the lights on, the economy goes too. There is an interesting study called ‘Perfect storm – energy, finance and the end of growth.’ by Dr Tim Morgan which might by interesting reading. You are forgetting nuclear power. When the Uranium runs out, there’s enough Thorium to power the world for thousands of years, maybe 10s of thousands of years. After that, its someone elses problem :-). As ‘cheap’ energy becomes more expensive, humans will experiment with everything they have at hand in the search for abundant sources of energy. What is not economically viable at $X per megawatt-hour will become more attractive as the price increases incrementally towards 2 x $X per megawatt-hour. Human ingenuity will always surprise us. So will the free market. When energy at $2X per megawatt hour becomes the rule, humans will experiment with everything they have at hand in the search for cheaper ways to make the energy they sell, so they can undercut the competition and increase market share. Who knows? Maybe the next major energy source will be a system that converts hydrogen directly into dark matter – not as much output per gram of fuel than fusion, but more than fuel cells. what will be the most efficient source of H2 in your opinion. The uranium never runs out. Since that possibility is at a minimum 500 to 1000 years off, why worry now? Tadchem, the first part of your explanation is elementary economics, supply and demand, not an issue with that at all, nor with human ingenuity or free markets producing solutions to problems. The article I mention looks at the economy as an energy equation, economic growth and everything that stem from it is possible because the ratio of energy returned on energy invested (EROEI) in exploiting energy sources is large. It’s another way of stating supply and demand but gives a different and probably more informative view. We are witnessing a process where the replacement of high EROEI sources of energy by so called renewables – which have an EROEI that is so woeful that economic growth will be very severely curtailed – is being imposed upon every economy. Since this is being imposed free-market economics no longer apply. Furthermore, this process, if carried out, would impact all facets of the economy including human ingenuity’s ability to find alternatives in a timely manner. Therefore, through the imposition of regulations to curtail ‘climate change’ the requirements for the next economic crash could be being set. Regarding Thorium reactors, sounds good, however I haven’t heard of any working example although there are projects to develop them. I also remember from high school physics breeder reactors that produced more fuel than they used, although they were used simply to produce plutonium for bombs before. There have been several working examples of thorium breeders that actually generated electricity. The one you do not hear much about was the Shippingport Reactor, during its last refueling, when it was loaded with thorium fuel and demonstrated that it is possible to breed (produce more fuel than is burned) thorium to U-233 in a light water reactor. The THTR 300 also generated electricity and produced more fuel than it burned. The chinese have built the HTR-10, which is a pebble-bed test reactor similar to the THTR and based on the THTR fuel design. The molten salt reactor (MSRE) that is the current fad was just a test reactor to verify that the physics worked and that it could be controlled. It developed some basic technologies for using the molten salt, but did not develop a lot of other technologies that would be becessary to actually produce electricity. The cost of uranium is so low, there is so much depleted U left from the weapons and commercial enrichment programs, and the cost of making the fuel for U-burning reactors is such a small portion of the overall cost of the plant, that there is no reason in the forseeable future to start up a development program to create the necessary infrastructure for thorium reactors. All the claims that thorium reactors are safer are hype – Admiral Rickover used to say that all those proposals to build safer, cheaper, smaller, more efficient reactors came from people who had never actually had to build one to make practical amount of power. LWR technology basically amounts to putting a few bricks of metal in a bucket of water, and then taking the steam that evloves when the bricks get hot and using that to run a turbine. How difficult can that be? Well, it is a LOT more difficult than that, but the thorium proponents do not want to talk about all the things that need to be dealt with to make their technology practical. They are like the fusion people who want to take a bit of actual “star-stuff” (not sunshine, but actual plasma that only exists in real stars) and confine it in a magic bottle, on the surface of this planet. Molten salt reactors fall somewhere in between – lots of handling of a physically hot, very radioactive, liquid. Tell me, which concept do you think is more difficult to make work – a bunch of metal bricks in a bucket of water or a bit of the sun confined in a magic bottle? Flushed with this success, these nations have moved on to setting limits on the expansion of the universe. Don’t they first have to legislate the color of the sky? No. They’ll probably just ‘adjust’ their thermometers so they don’t have to pay huge fines for failure to comply with the Overlords. I think a more judicious legislative project would be to round pi to 3.14 before moving on to the expansion of the universe. That made me laugh out loud, thank you. To achieve this all they have to do is mandate everyone in developed nations (the ones with cheap energy and freedom) crank up their air conditioners and leave all their windows open! Futile if neither China nor India are part of the 193. Silly, climate change CO2 controls are only for fools developed countries. With the Sun in its current snooze, they should also agreed to limit the cooling to -1°C ! Back to the LIA would not be pleasant for many EU countries or large parts of the northern USA, Russia etc. As we leave our inter-glacial and say goodbye to our lovely garden planet I’m thinking we should seriously consider opening the Panama / South America channel like it was 3 million years ago before this ice age started. No amount of CO2 is going to prevent the next glaciation. They are obviously not reading the earnings report from large re-insurance companies like Munich Re or General Re (owned by Warren Buffet). All are reporting reduced claims and record profits. Ironically, snow storms and cold weather were the largest contributors to insured losses over the last two years in the U.S.
It’s only ironic if you actually think that mild weather is dangerous. Is the CIEL taking its “science” from the Pope? If not from him maybe the other one, Obama. Wait a minute…If the Pontiff is the Representative of the Big “G” then is Obama the opposite? I ask because I wish to learn. The pope should be taking the word of the ‘man in the ciel’, if you know what I mean or speak French. The ole CO2 Master Control knob theory in play as usual. As in All man has to do is dial-in a CO2 emission scenario value to output a temp change. Cargo Cult Science at its finest. The airplanes loaded with fruit and exotic foods any day now. No other theory can produce the desired outcomes, Joel. Obamascience: drive thru menu that’s made to order! Get yours today! No. It’s that no other theory can produce the desired tax revenues and wholesale restructuring of capitalism in democratic countries. And to make the theory “work”, they have to keep making adjustments to temp data sets. Climate change is Gruber on steroids. “193 nations have agreed to limit global warming below 2°C”…. No, the liquidity crunch will be when the US government chokes on the legislative hair balls they have produced by licking the electorate to attract votes. Exaggerate? The insurance industry? No way!!! I compare my basement to my parent’s basement when I was growing up. A flood in my home today would destroy a new mid-efficiency furnace, a fridge, a bathroom, two computers, a large monitor, a modem, a hi-def TV, a surround-sound stereo, new carpeting, new couches and a new renovation (by new I mean less than 10 years old). A flood back then would destroy a 20-year old (but reliable) furnace, some second-hand carpeting, a few second-had couches, and a second-hand TV. Insurance claims are up because we have more, and more expensive, stuff. That, and greed. Don’t forget all the obsessive-compulsive, expensive “toxic materials” clean up that would be required today (asbestos, radon, fibreglass, mould, endangered earthworm rescue and relocation mission, etc.). Considering where my dad got most of the materials for the house (i.e., what they now call a “re-use” centre, what we sometimes call “the dump”, I doubt their basement would pass many code inspections. Then again, my dad was a carpenter for 40 years and at the age of 85 still cuts his own firewood. So if there is anything there that can harm a human, it didn’t work on him. Here in London only o l d houses have basements. Unless they have been excavated (Often against the neighbours’ wishes) in the last few years. Can’t build out – the neighbours live there. Can’t build up – ancient lights, the view, the street look etc. And that’s where the cars and the gym kit, at least, goes. The Center for International Environmental Law(yers) think they live in a world where International Environmental Laws only ever do good, not harm, and the more of them the better? And they think some insurance companies, who haven’t done enough, need to get with the program because they aren’t paying them enough attention yet. And also because, despite the donkey-braying, they think they just aren’t paying them enough yet. The most recent financial crisis was initiated by a government policy push to put more and more people into homes in the U.S. in spite of questionable or even fraudulent credit capacity of the applicants. While there were a lot of players involved in crafting that crisis, it did put a lot of people in homes. With climate scare finance and related ratings inflation you don’t even get any housing in the deal. This will all be by and for the wealthy. Meanwhile the low income group is being pushed into fossil fuel-based auto sales with the same sub prime finance it always had. Well, it stopped briefly during the crisis but was the first to restart again. Now mortgage finance in the U.S. is reverting back to easy money terms and low down payments. They have already created the financial crisis, the only question is when. Obama doubled the national debt. When it is called in, they are toast without the environment. National debt was already going up without any new policies – he inherited a large deficit when revenue fell. Where he’s culpable is he opposed the GOP policies that prevented it TRIPLING. He said the sequester would trigger Great Depression. Instead, the deficit fell 75% – and unemployment halved. Expected loss = Probability Of Loss x Severity of Loss. Here the probability of the temperature going up that high this century is very close to zero. Also, temperature increases provide benefits as well as losses. The severity of the losses is also hyped. Most of the premium collected will be retained. Even if there is a severe loss, the insurance company simply raises its premiums to recoup the loss. I don’t get it. The 4C expectation is based on models that have already been shown via observation to be errant, right? What does the AGW side say to the observations not matching what they are creating policies to? Looking to Greece, the EU and USA.. surviving the next financial crisis might have to wait until we survive the current crisis. Sure Climatology indulgences purchased by many national governments has contributed to the current crisis but mostly the current financial mess is the result of the welfare state. Borrowing against your grandchildren’s possible earnings to support the lazy and incompetent as our overlords.. works real good until the productive stop playing along. Socialism world wide is out of other peoples money, this is a crisis. For our bloated parasitic friends. Pure distilled wisdom. Thank you. and hence the law. This stuff scares the cr@p out of me now. It has wholly got out of control……when the law is involved financial destitution, social ruin and prison surely follow for those that do not have the capital to fight a loaded (politically and financially) system. It’s hard for me to believe that anyone could put this combination of words together without laughing. I find myself saying “Are these people nuts”? a couple of times every day. Making it impossible for reality based investment decisions to take place. Instead they are actively working to impose the control of the dictionary to destroy the most productive industry in the world. Will the madness end before the climate kooks succeed in damaging vast numbers of people? This morning’s Wall Street Journal reports Molycorp’s bankruptcy. “Molycorp Inc. filed for bankruptcy protection Thursday, as the long-struggling rare-earths miner turned a page on one of the most dramatic commodities busts in recent years. $1.7 Billion to dig a hole in the ground. Astounding what regulation ang green strangulation can do to a cost profile. Shipping has already got it. I suspect most other industries have, too. But when the local folk – EU, California, say – decide to impose local solutions – for global industries – to non-problems [or solutions that likely cost a shed load more than the problems] – we’re are on a downhill run. With a brick wall at the end. Is this what the watermelons want. Their actions scream ‘YES’. Assuming a greater than 4 degree increase in the world’s average temperature is silly because we don’t have the fossil fuel reserves to put so much CO2 in the air. Now, as you can guess I’ve done this over, and over, and over (enough, Tom) for years. But, I do give it a little variety. Sometimes I tell the cashier it’s really a $2,000.00 bill. Other times I tell them it’s a magic $20.00 bill that turns into a $200.00 bill at midnight. The more lively cashiers tell me to return at midnight for my change – but I don’t think I’d waste my time by actually doing so. On a few occasions I’ve told the cashier that I used the wrong plates when I printed the bills up in my basement and I meant to use the plates for a $200.00 bill, not a $20.00 bill, and could they compensate me for my mistake? Needless to say (but I’m saying it anyway) I don’t really make any money doing this. Nor, should I. I’d be one helluva jerk (worse than I already am) if I actually did. So why is the CIEL so mind bendingly brazen as to think there’s real money to be made by basically doing the same damn thing: conjuring magic money out of thin air over a joke repeated over, and over, and over…? By claiming a $20.00 bill will really turn into $200.00 bill after midnight 20 years from now when everybody knows it’ll really turn into 20 cents? Or expecting us to be so rock on the ground stupid as to give back $180.00 extra change on a bill printed up in the basement of la la land? Mods: is it the word ‘fraud’ that did it? Thanks. Knowledge is a useful thing. The hubris, oh the hubris! They’ve also agreed to stop tornados, hurricanes and boll weevils, not to mention halitosis, male pattern baldness and low sperm count. If you’re gonna dream….dream big. Yes, but it’s the dictatorial nature of government which always has caused ruin in the past and will do so in the future. The insanity that a government could [‘or should] do anything to change the weather, is depressing in sense that any significant number of people actually believes such ignorant fantasies. Meanwhile we have government which is enabling Iran to have nuclear weapons. So solving climate is not governmental responsibility, whereas preventing a country from using nuclear weapons does happen to be a primary responsibility of a government. Even the IPCC has given up trying to claim a temperature rise of >4C is even possible. There are those that say you didn’t build that. The “climate cartels” may have problems this year! are busy erasing the “pause” and El Ninos, most likely under orders to do so. They’ve whacked the LIA, the MWP, HCO and other Molies but these keep jumping up again because they are real. I’m reminded of swamp bugs swimming ever so faster and trying to find the coolest spots in a billy pail as it heats up for tea. We will need some kind of huge stone monument with the names of all the worst of them (the useful idiots will be excused, I guess, as white noise) to ensure we don’t forget about this terrible period. Aah. Crunchy Tea, my favorite. Facilitators in – if the watermelons get their way – something approaching genocide, as the Third World is denied the benefit of electricity [as it’s from coal, the demon coal – or the demon nukes, or gas or oil . . .]. Mmmmm – wind power will bring Africa out of the Third World. Whilst an amnesty for some is sensible, do all the trolls, even, deserve that? – Various escalating penalties, from drinking half a pint of custard. to apologising on line . . . .
It’s amazing how the old radicals from the 50’s and 60’s who started the environmental movement have become the mainstream. While generally good intentioned they were also sloppy in their research and thought process. They were allowed to be. That hasn’t changed. Now the laid back moderate or conservative types are simply saying, “hey, wait a minute” That’s all you have to do or say to be called a wacky and dangerous zealot or denier by these old radicals . The new radicals like climate change skeptics are not allowed to be sloppy. I think it’s better we stay calm and rational and never reactionary. Sooner or later these types old or young won’t be able to take the smell or sound of their own bs. I invested in Green Energy and Recycling in Australia a decade ago. Lost a packet. No need to sell out, they all went bankrupt. I invested in Big Oil and Coal after that, and made all my loses back, and more. Despite Green Energy government incentives. There is a message there, and I am glad I listened. I no longer trust ANY scientific announcement, or any Government predictions. They all lie. I do my own reading. Since the climate changes at a pretty slow pace and the fact that humans can adapt, the risk should be ZERO. Trying to secure a meeting with Mayor Martin J. Walsh? All you have to do is guess exactly when the giant South Boston snow mound, a lingering reminder of the relentless winter, will finally dissolve. To enter the mayor’s contest, participants have to tweet Walsh using the hashtag #BOSMeltNow. The message should include the month and day a contestant believes the snow will finally disappear. Submissions are due by July 15. IceAgeNow comments: BTW, the pile is at sea level. 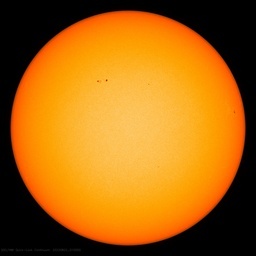 heading towards a new little ice age? The UK government announced this weeks that it plans to sell off up to 70% of its Green Investment Bank. This follows on from an announcement the previous week that the UK government will withdraw all subsidies for new onshore wind power developments from 1st April 2016. It does look as if the new majority government may not be as blindly committed to the climate change cause as its predecessor. I’m just hoping their next move will be to scrap the iniquitous 9% renewables obligation which is added to every domestic gas and electricity bill in the UK, which does nothing to impact climate change, but pushes ever more people into fuel poverty. As things stand renewable energy is simply not cost effective and without massive tax payer subsidies and the 9% UK renewables obligation would simply not be used. Take a look at the history of the Edinburgh-based wave-energy company Polamis; despite considerable success in trials of its technology, when it ran out of money not a single private investor showed any interest in buying the company. So what did the blinkered pro-renewables Scottish government do? They kept it afloat it with tax-payer money. Since when didn’t Credit Rating Agencies miscalcutate risk? In my opinion they are overestimating it in virtually everything, except green energy. I will say this for them, they tend to err in both directions, unlike some Agencies. They are also the bottom of the barrel for financial analysts. Generally young, building their résumés, and woefully naive of how things work in real life. I’ll never forget sitting next to one at lunch at a thing called the American Secuition Forum in Las Vegas in early 2008. She believed a typical home foreclosure could be accomplished in a single day. Mods: Can you give me a break on this one? I didn’t realise that word was in the hyperlink. Do not underestimate this end-run. It’s neat in its use of a non-existent future threat to make the prophesy self-fulfilling. Game is to bully insurers, etc, to give up on investment in hydrocarbons. Thus Big Oil/Gas cost of capital goes up, investment is potentially lower which means supply less than it would be in a free market, therefore HCs more expensive, therefore ‘cleantech’ less disadvantaged and apparently more necessary as a stop-gap. And we have grinning idiots like BOE governor Mark Carney helping push this by trying to skew the all-important regulatory framework in a major centre like London and egging on the EU to do the same, all under the guise of improving ‘financial stability’. Also not to be ignored is this canard of the ‘subsidies’ which Big Oil enjoys, by which the Khmer Vert mean the tax-breaks – i.e., the partial abstinence on the part of the state from its ability to steal as much of those firms’ income as it can.